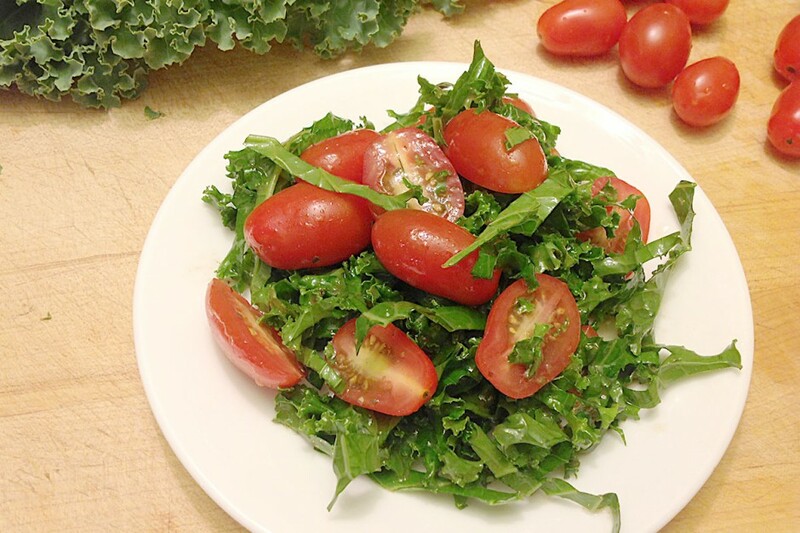 The sweetness of Grape Tomatoes paired with the acidity of Balsamic brightens the earthy crunch of raw Kale. Toss with 4 tbsp Balsamic Vinaigrette dressing. Season to taste with salt and pepper.